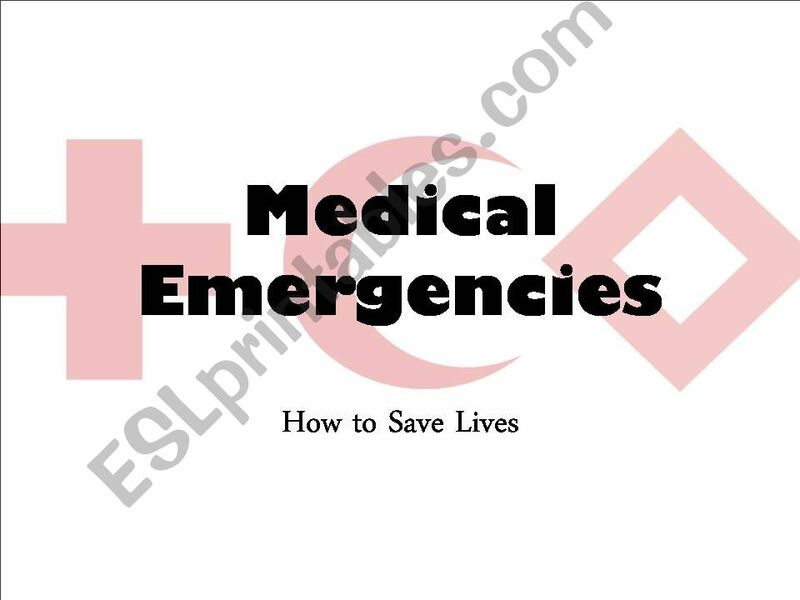 This is a presentation about medical emergencies, including unconsciousness, allergic reactions, heart attack, stroke, frostbite, cuts, burns, and drowning. I compiled lists of symptoms and first aid tips from several Internet sources. Fully editable; substitute your country´s emergency number for 911. I hope you find it useful! That´s exactly what I was looking for! Thank you SO MUCH!